Floating from bossa nova and Giallo film scores to synth-wave and Motown R&B, Belaire creates catchy pop songs filtered through a macabre kaleidoscopic lens of colors. 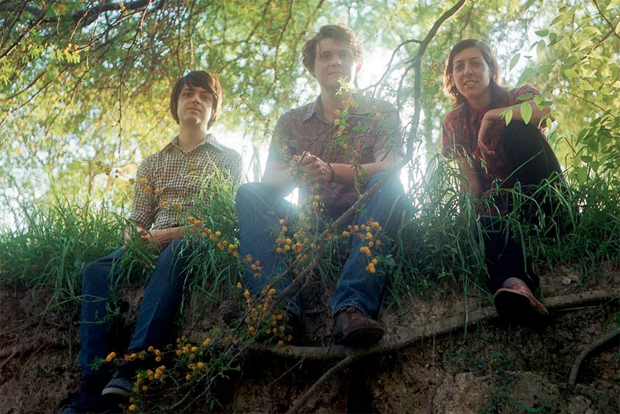 Formed in 2004 by members of Fancy Feast, Fozlur and Voxtrot, the band weaves hauntingly melodic, textural sound-scapes that echo childlike creativity, artistic intellectualism, and a lot of DIY soul. 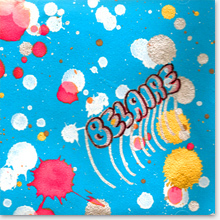 For the most thorough article on Belaire check out this epic piece by Julia Gazdag. "it’s clear that the band poured love and perspiration into this album without a single bit of filler; every is track sculpted down to the grain. a band firmly in command of their touchstones, minting cherished pop gems on a return that will leave few doubters and many new accolades." 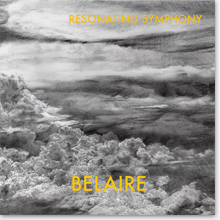 Song of the Day feature – "A breezy, candyfloss sound"
"Resonating Symphony does a great job encompassing and harnessing Belaire’s unreplicable sound of upbeat lucid dreams." "Spot-on Tropicalia-influenced, synth-based pop numbers that flow and float lighter than air." "The band hasn’t lost any of its sugary rush, but seems to have added shades of grey to its Technicolor sound, making for a richer overall experience. It must be nice to have to choose between playing in two stellar bands [Voxtrot or Belaire], sort of like choosing which pair of pants to wear – one stuffed with thousand-dollar bills or the ones that give you the power to fly." "Bursts with an entire spectrum of yellows, blues, and greens, and a kaleidoscope of textures. The future never looked brighter." 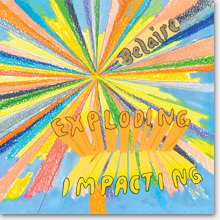 "When first listening to Exploding Impacting it’s not hard to imagine a far off place where the melodies of foreign movies, twee pop, carnival rides and indie dance come into play. What is hard to imagine however is exactly how these different sounds would come together without creating a mess. 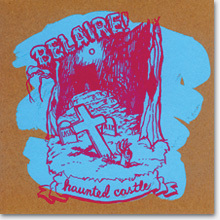 Belaire succeeds, and with each listen of their new LP I find myself falling for them even more." "The album is truly an excellent work of songwriting and fantastic production. The spectral emotional range goes from playful romanticism to the deeply reflective. The band’s sound is somewhere between’60s Brazilian Tropicalia and early’80s synth-pop taken in a new direction."